IN REVIEW | Ofcom has published its Annual Plan for 2015/16 outlining what it's going to do in the coming financial year. In it are a number of tasks that will affect television and radio. In November, Ofcom will represent the UK at the World Radiocommunications Conference. There, important decisions are expected to be made with regards the future use of the 700 MHz frequency band which is currently used by Freeview. As changes to this frequency band will result in Freeview channels changing frequencies around the turn of the decade, international negotiations will influence timescales and a co-ordination of frequencies - particularly of interest to viewers in the South and East of England, where Freeview channels will need to be allocated to frequencies that don't clash with continental TV services. Ofcom is going to be working on the "positioning and signposting" of Public Service channels in the EPGs of digital TV providers. They will be reviewing the EPG code, which all platform operators have to abide by. The last version of the EPG code was published in 2003, before the advent of HD and on-demand services. Ofcom will also tell us if it will consult over the introduction of 'speaking EPGs' for the blind and visually impaired, after requesting some feedback on the subject last year. Trial services will be launched in the next few months to see how smaller radio stations can be helped on to DAB digital radio through low cost distribution solutions. It is hoped that small scale DAB will provide listeners with stations that couldn't justify the cost of broadcasting across a much wider area on local DAB. Ofcom will be monitoring the trials, and aims to report back to the Department for Culture, Media and Sport (DCMS) by summer 2016. Does Ofcom need to regulate what types of music local commercial radio stations should play? Ofcom recently published a consultation on the subject and will report back in the coming year. It's part of Ofcom's drive to reduce the regulatory burden on broadcasters. The regulator wants to simplify and update the technical codes that govern services on Freeview, following its review of DAB digital radio technical codes last year. Following a consultation on terrestrial TV codes later this year, it also wants to look at modifying analogue radio technical codes. The current terrestrial TV codes are found here. They include the minimum resolution required for some public service channels and details of how services are encoded. 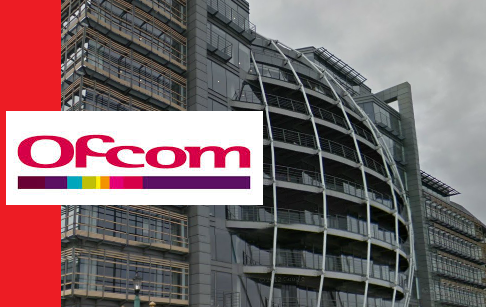 Ofcom wants to re-examine the codes "to ensure that our regulation reflects the current technical environment, for example by providing clarity on technical fault reporting procedures and by removing requirements that are no longer necessary." Some listeners and viewers are vocal about minimum standards, but last year Ofcom said with regards to DAB: "there is no evidence to suggest dissatisfaction from consumers with the technical quality of content from platforms that are not subject to explicit technical quality standards requirements." This is just a drop in the ocean of work Ofcom has planned for the year ahead. It'll also be checking up to see if ITV Border Scotland is meeting its requirements in serving viewers in Southern Scotland. And Ofcom will have more to say about the controversial "Wholesale Must Offer" rules, which force Sky to offer Sky Sports 1 and 2 to other platform operators, notably BT. It'll also be focusing on numerous issues relating to telecoms, broadband provision and the postal service. All 114 pages of the report can be read here.